Something Concrete + Modern at Newcastle University. 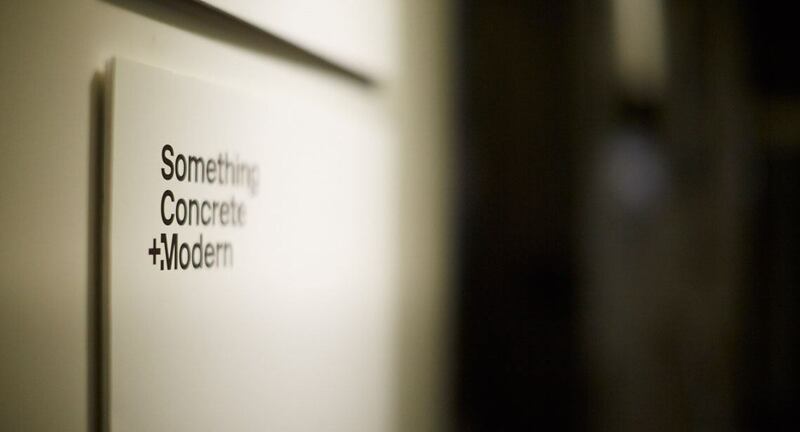 If you’re a regular visitor to our blog or if you follow us on social media, you’ll most likely be aware of Something Concrete + Modern. It’s a project we’ve been working on for most of this year and, with our love of both modern architecture and the North East, it’s been something close to our hearts. For those who aren’t aware, Something Concrete + Modern is a celebration of the buildings and the people who helped shape the North East of England in the post-war years. It takes the form of an online archive, an exhibition and a series of events. All of which we have had a hand in. The opening night of the SC+M exhibition took place in late June at the School of Architecture, Planning & Landscape at Newcastle University. We’ve had a hectic couple of weeks so this is our first chance to write in any sort of detail about the event, but we’re delighted with how it went. It was a real pleasure to see months of hard work, from both ourselves and the rest of the SC+M team, come together. Everyone involved has been so passionate every step of the way, making it one of the most enjoyable projects we have worked on. We’ve added a lot more information about SC+M as well as photos of the exhibition and our work on the project to our portfolio. If you’ve not had a chance to visit the exhibition yet, it runs until the end of July. Credit for the photo goes to Ryan Edy, who was covering the event for NE Love.